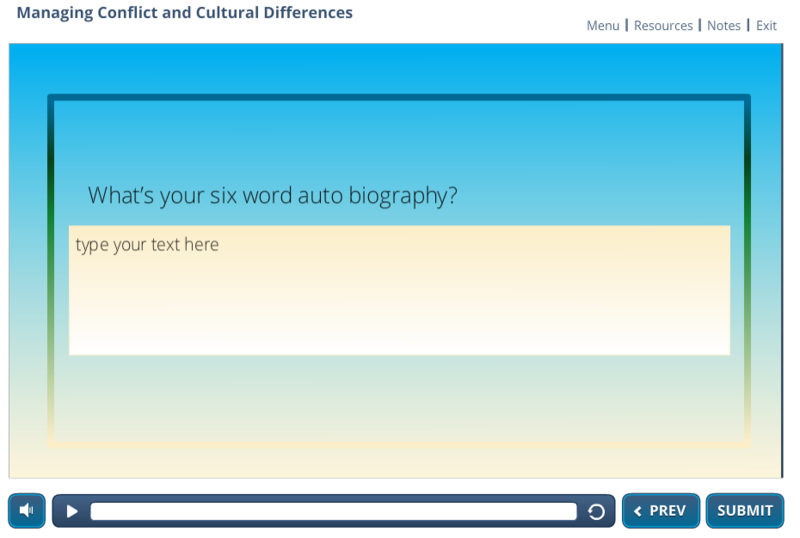 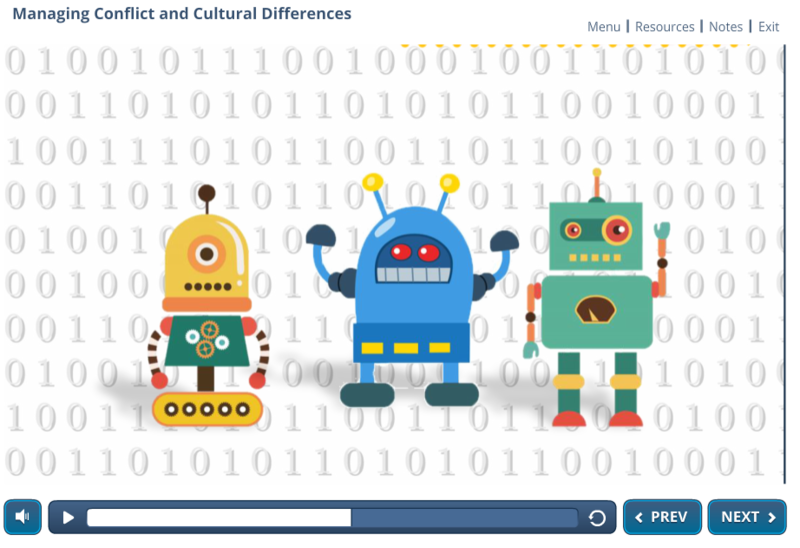 It just wouldn't make sense to build a course about cultural differences without offering accessible options for diverse groups of learners. 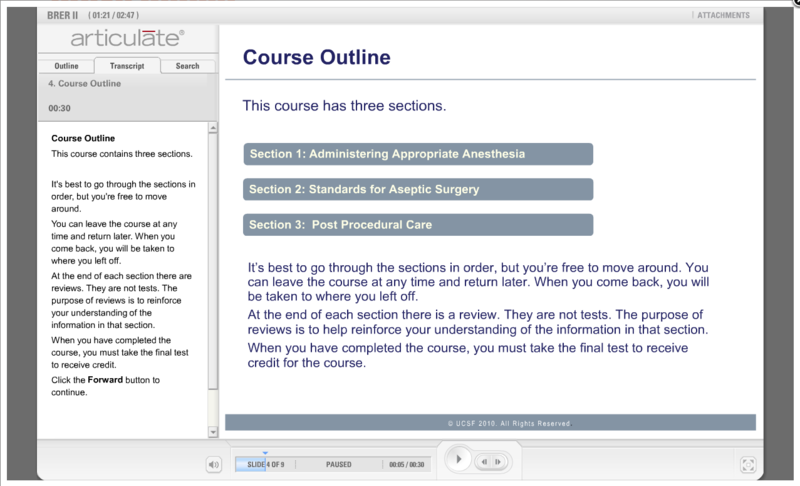 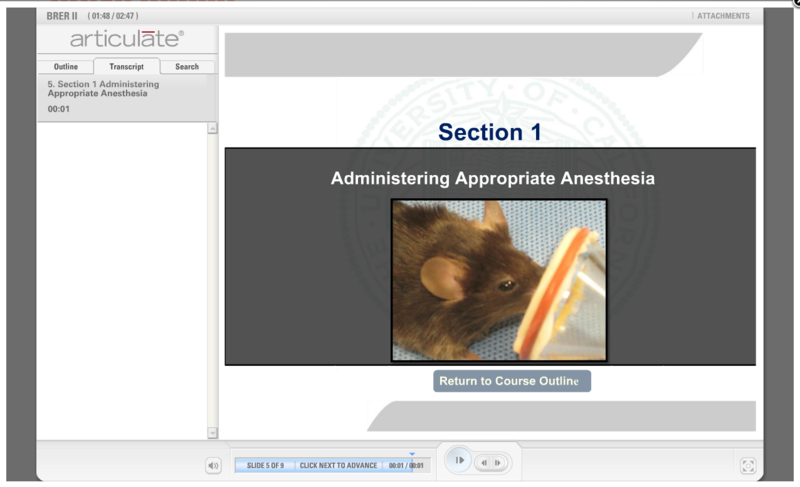 This course built in Articulate Storyline 3 includes closed captioning options and cross-platform functionality. 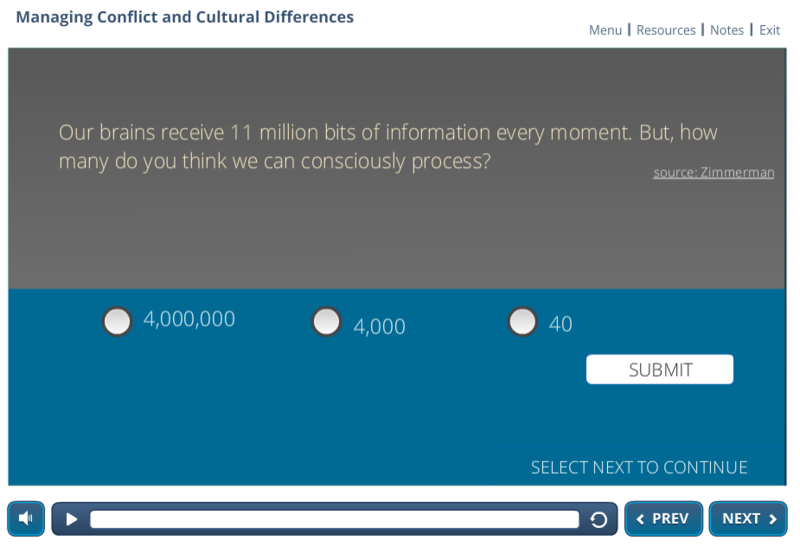 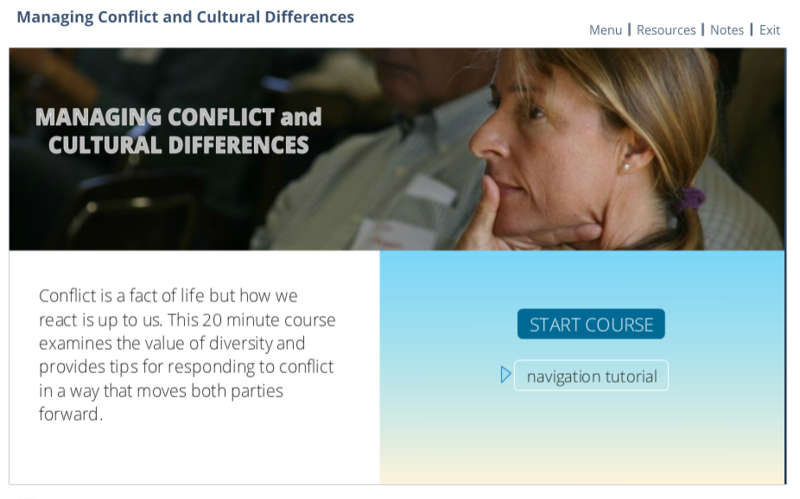 This 20-minute course examines the value of diversity and responds tips for responding to conflict in a way that moves both parties forward. 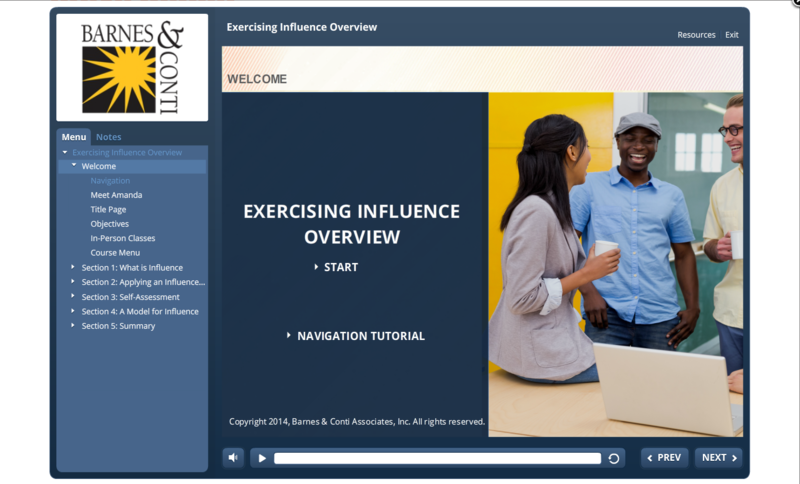 Exercising Influence Overview was created in collaboration with Barnes and Conti and Associates and the University of California. 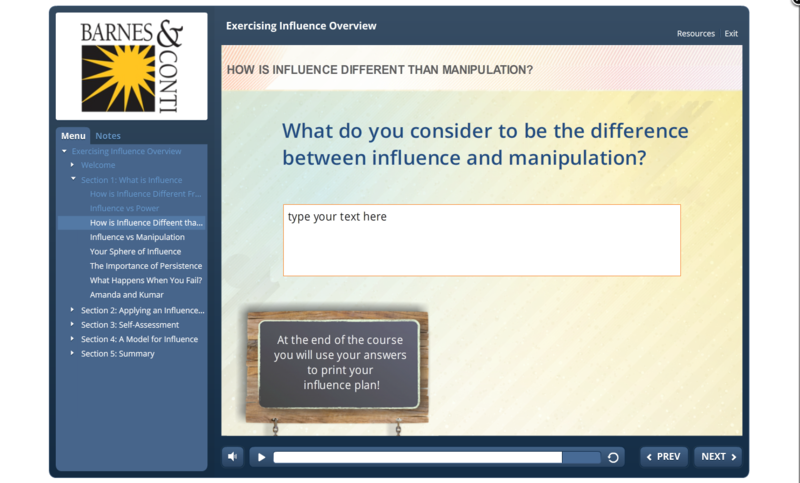 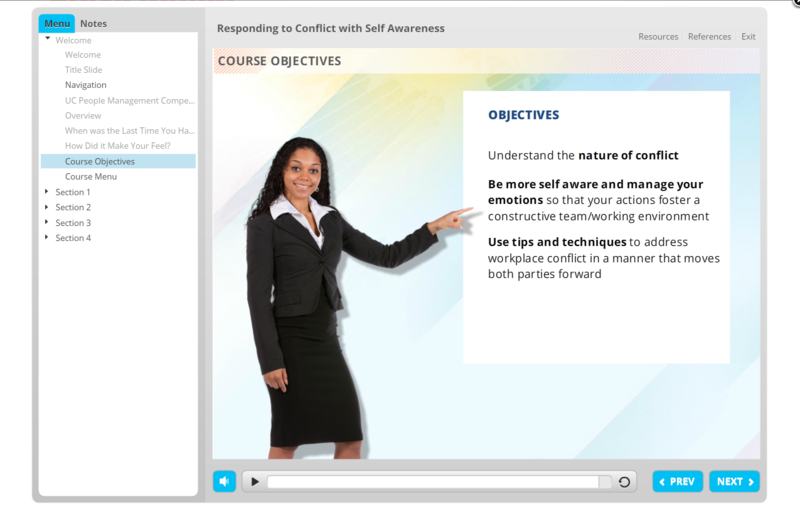 The course provides practical techniques, developed by Barnes and Conti, to help learners influence others and meet personal goals. 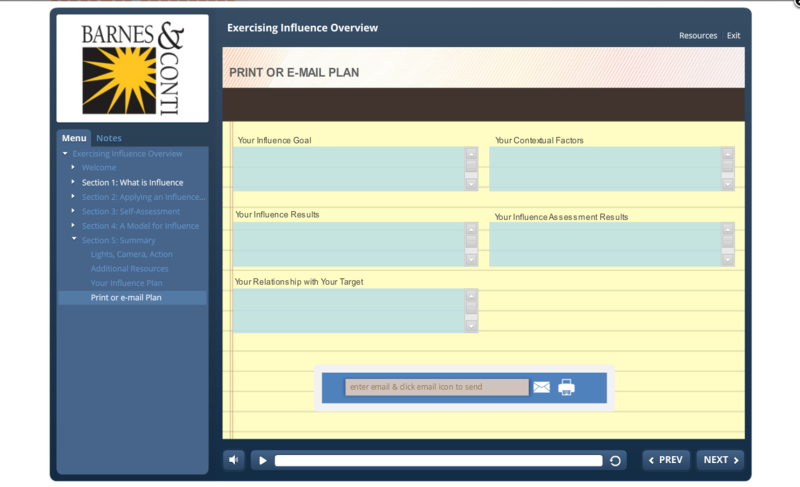 Using scenario driven examples, learners are encouraged to reflect on their own influence experiences, develop an influence plan and practice influence behavior at an instructor-led workshops which compliment this e-course. 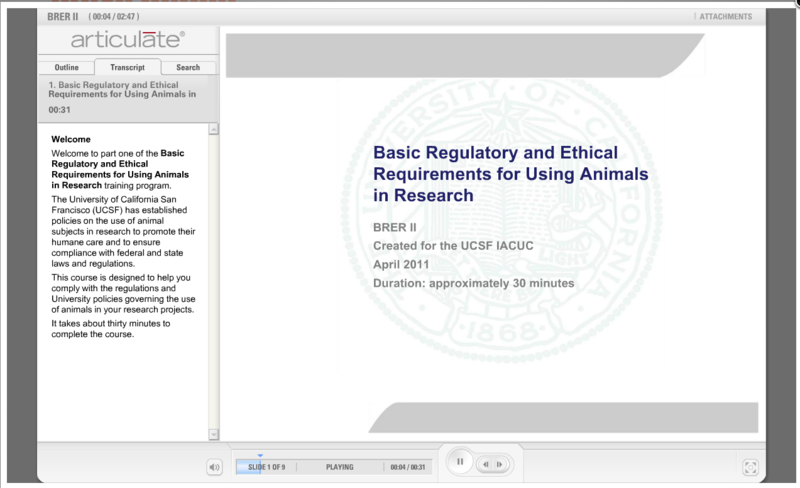 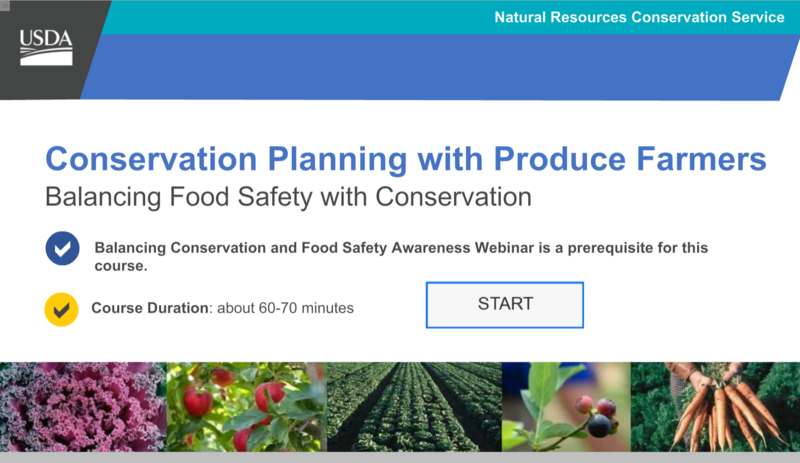 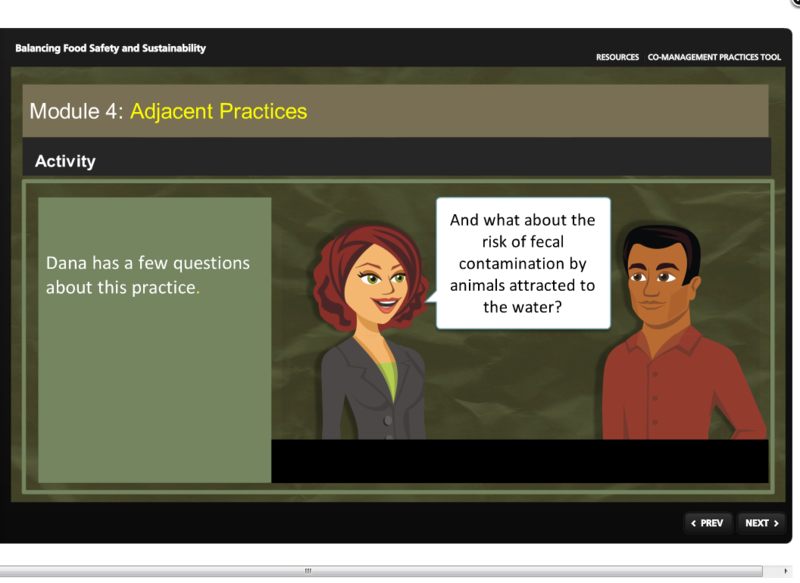 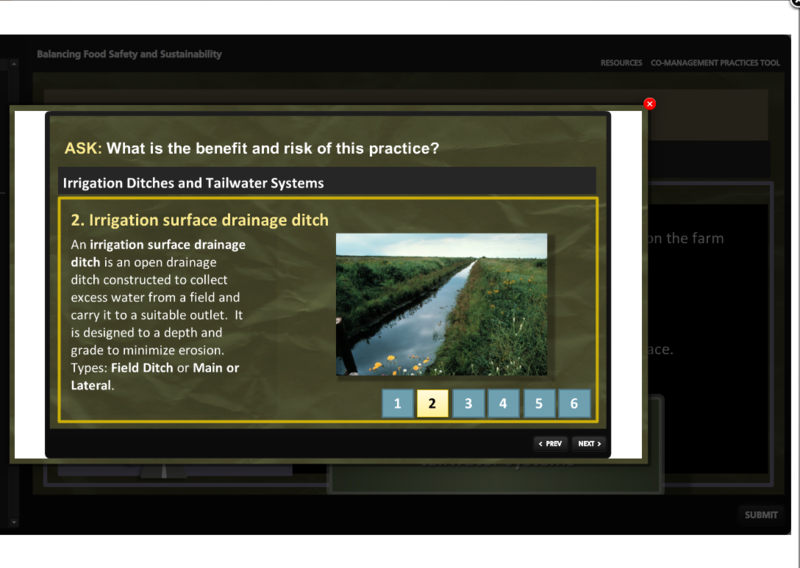 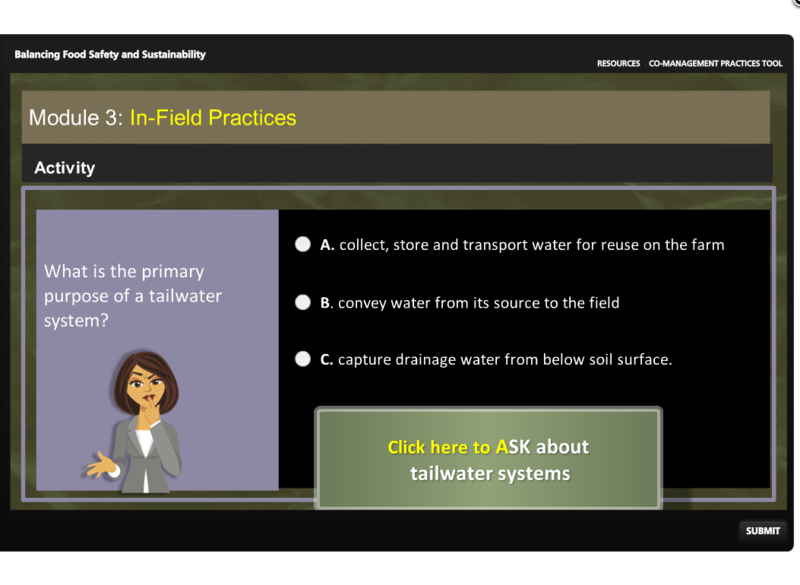 The United States Department of Agriculture (USDA) requested the development of an online eLearning course, based on content they provided. 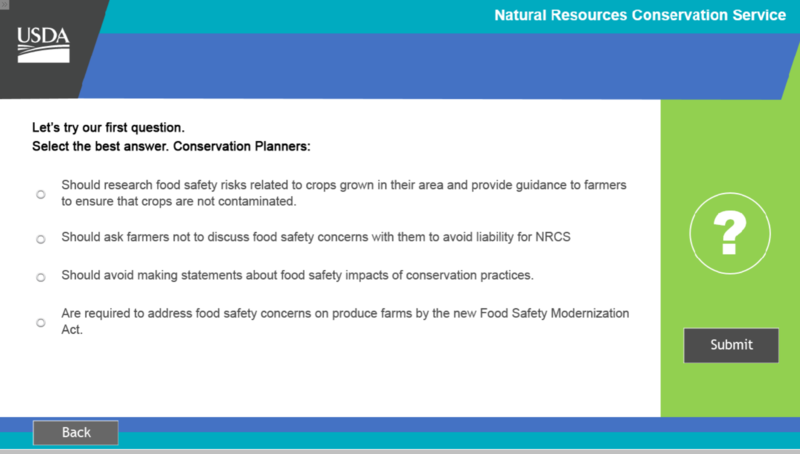 The course educated NRCS employees about strategies to promote balanced food safety and sustainability practices. 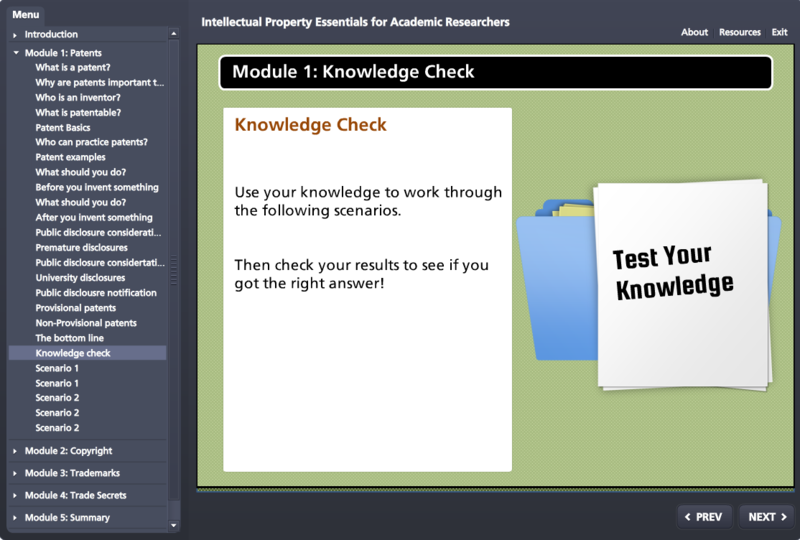 The learner completes several assessment questions throughout the course to test their understanding of the material. 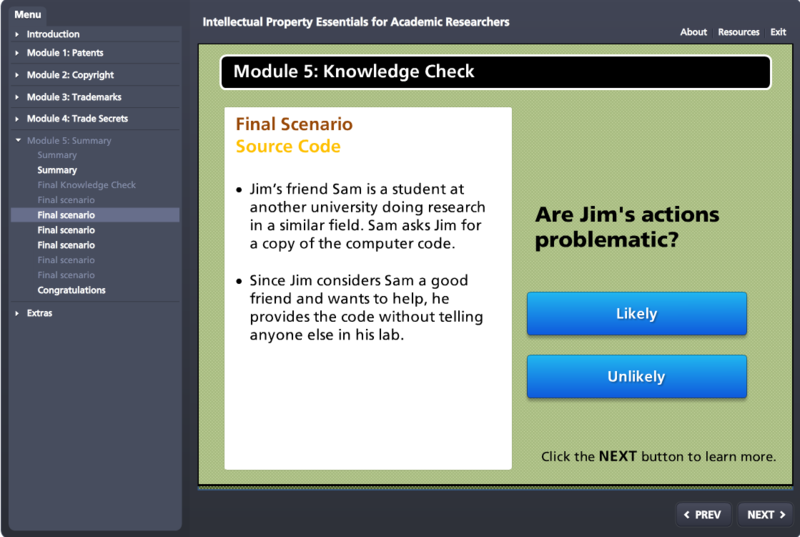 More details available upon request. 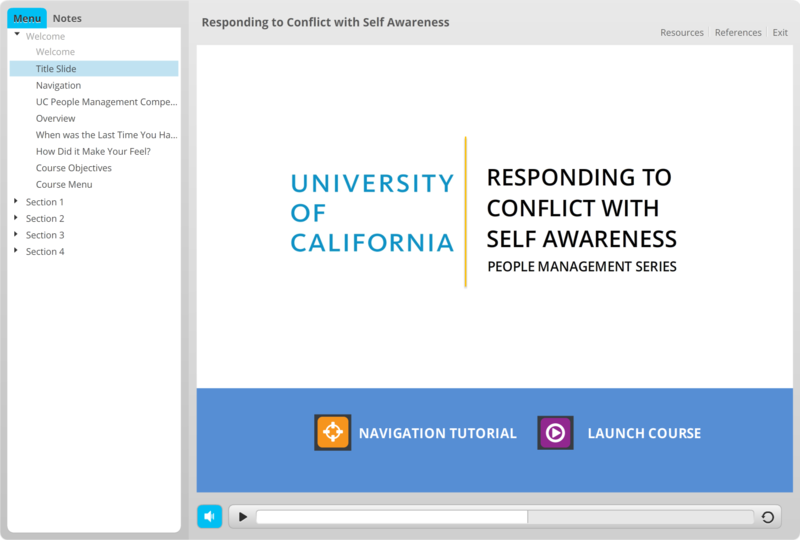 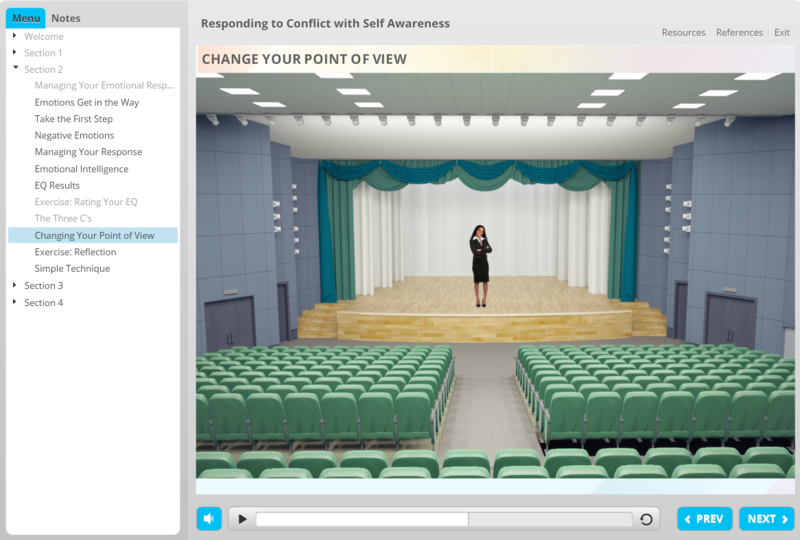 Responding to Conflict with Self Awareness was created for the University of California as part of the People Management Competency Series. 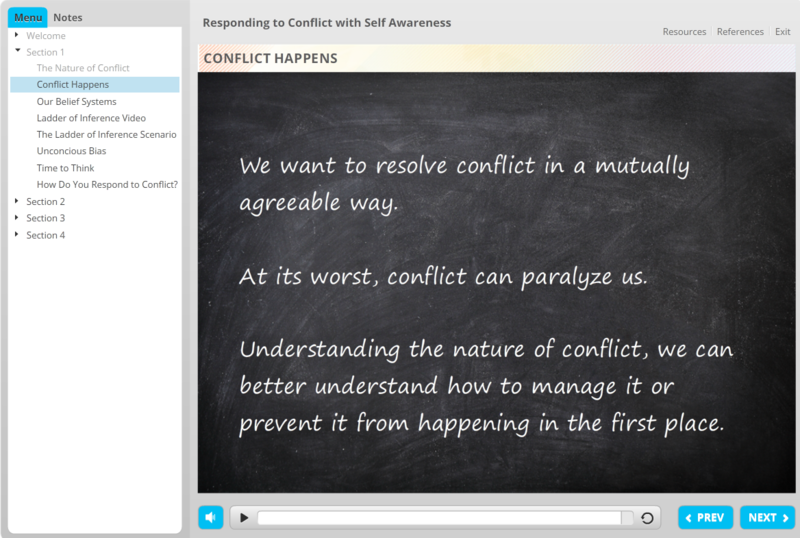 This course provides several strategies for responding to conflict in a constructive way. 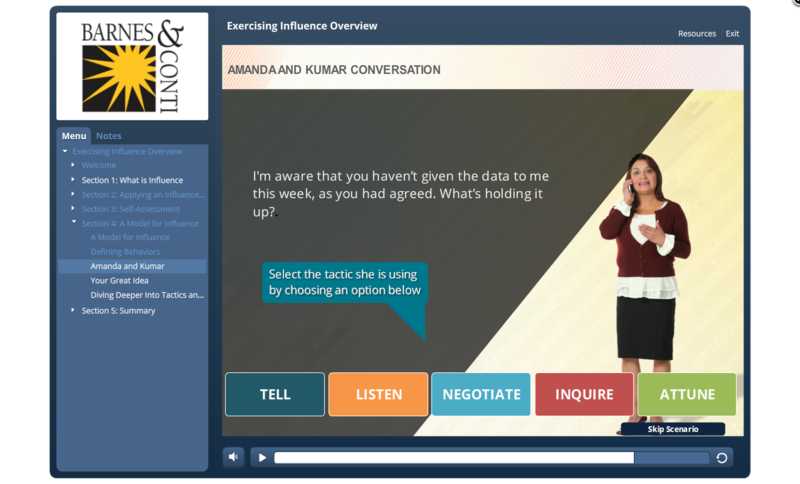 I worked with the subject matter expert to identify content, create scenarios and add images and audio components. 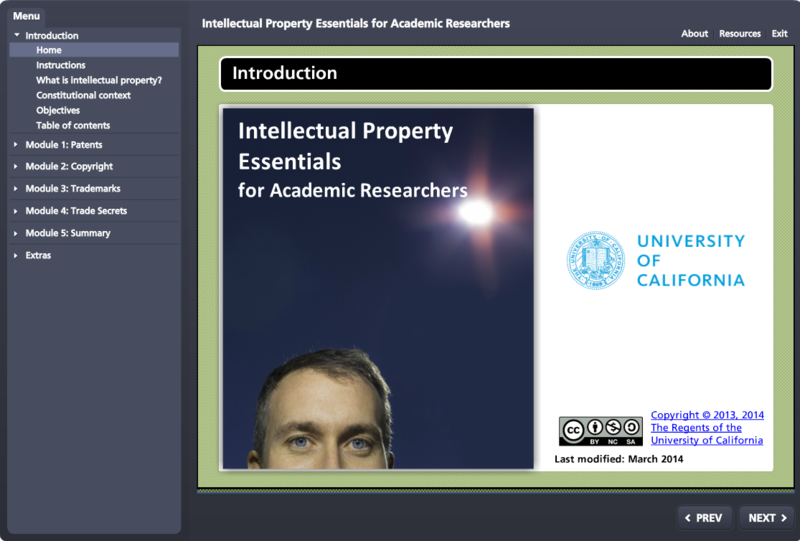 Intellectual Property Essentials for Academic Researchers is intended to provide user-friendly and self-paced training on the four main types of protections for intellectual property (IP), including patents, copyrights, trademarks and trade secrets. 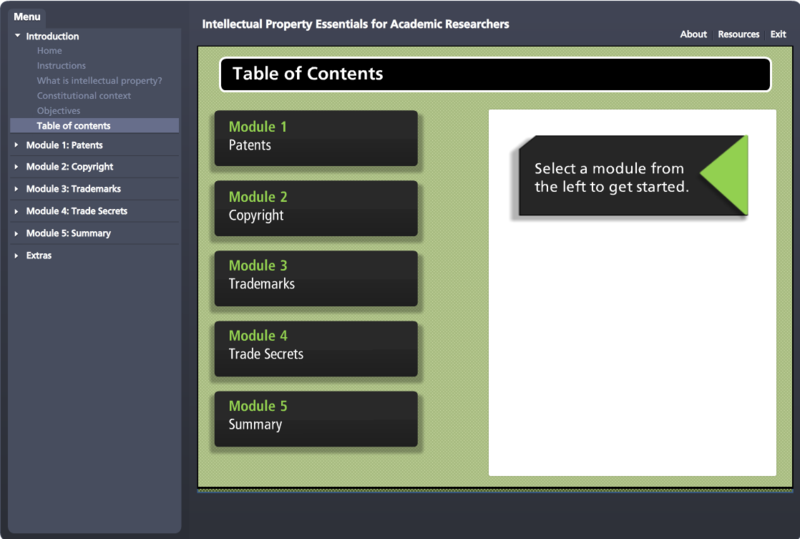 It discusses the types of inventions and other intellectual properties that are eligible for protection and how to obtain that protection. 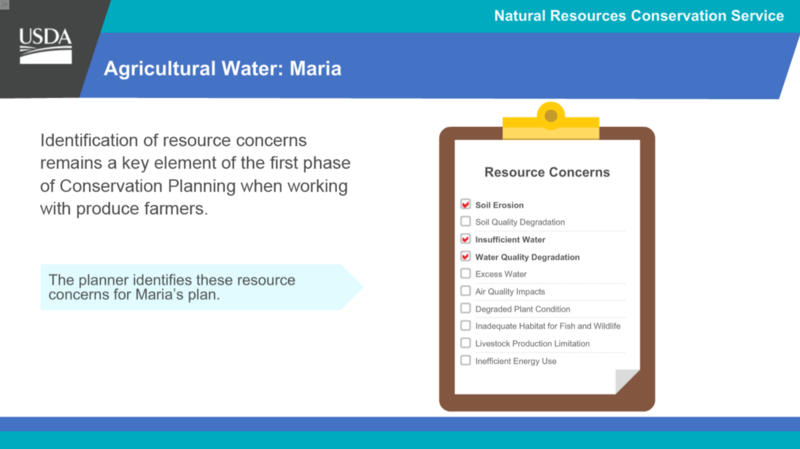 The idea for the course originated with John Villasenor, professor of electrical engineering and public policy at UCLA and a nonresident senior fellow at the Brookings Institution. 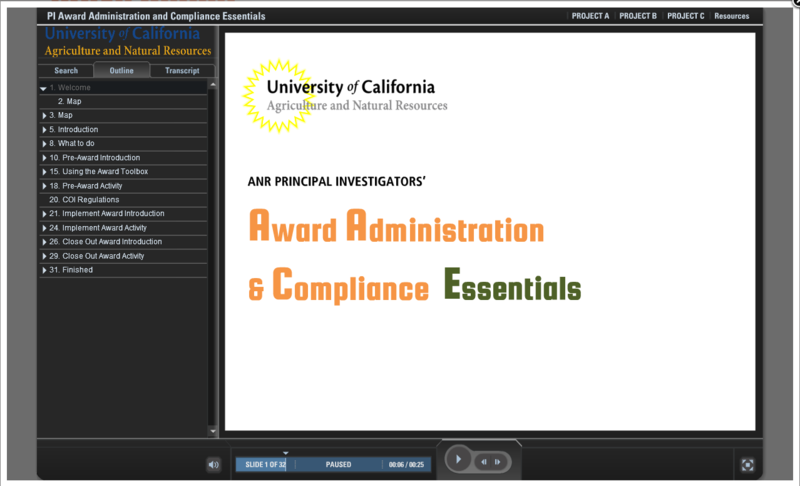 Award Administration and Compliance Essentials, was created for University Principal Investigators regarding award administration and compliance standards. 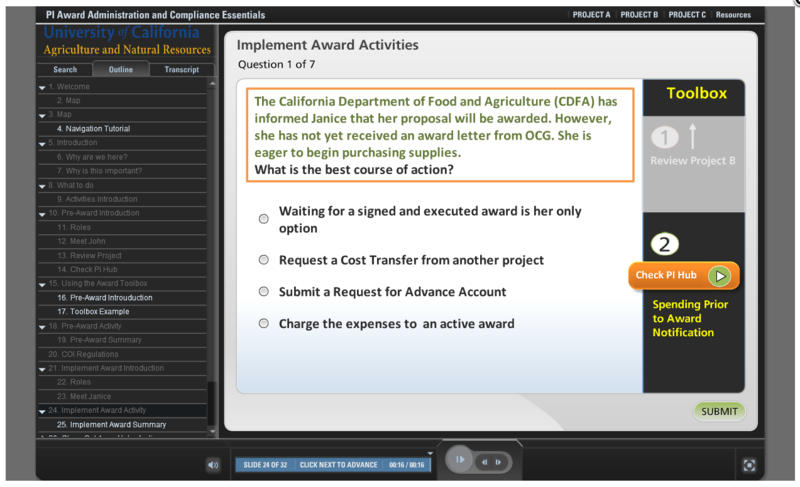 Using job-aids, learners get the opportunity to practice using resources to answer common questions. 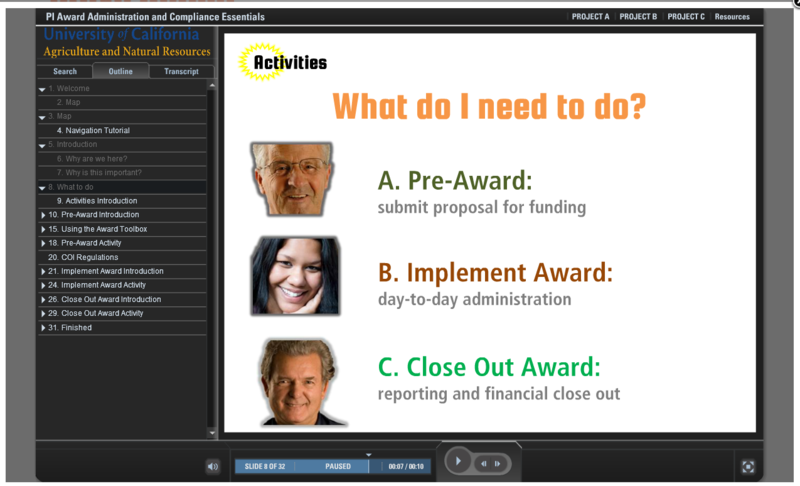 Worked with SME’s to identify realistic scenarios and activities. 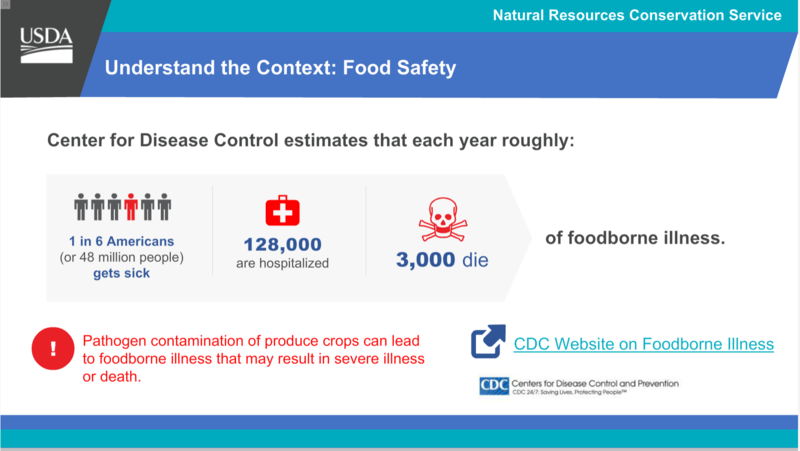 Balancing Food Safety and Sustainability: California food growers face ever stricter food safety regulations that can negatively impact practices that protect the environment. 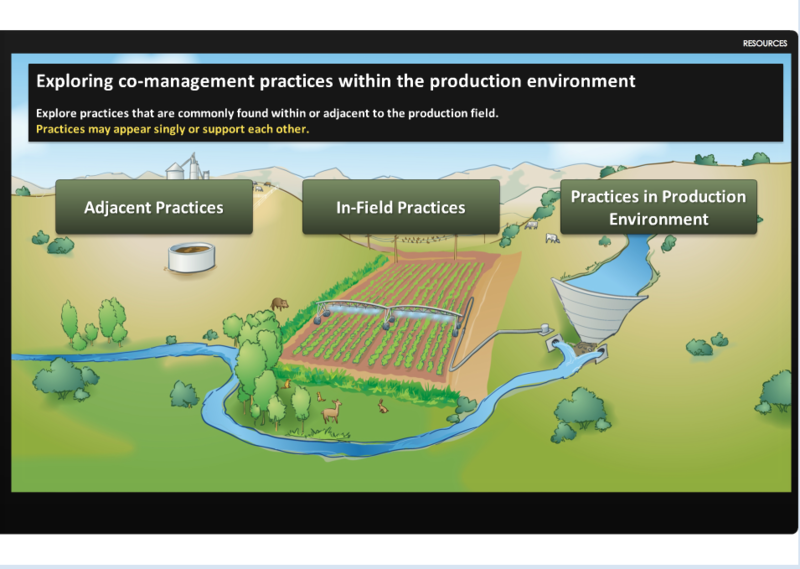 Co-management offers a solution by using growing practices that balance both food safety and sustainability concerns. 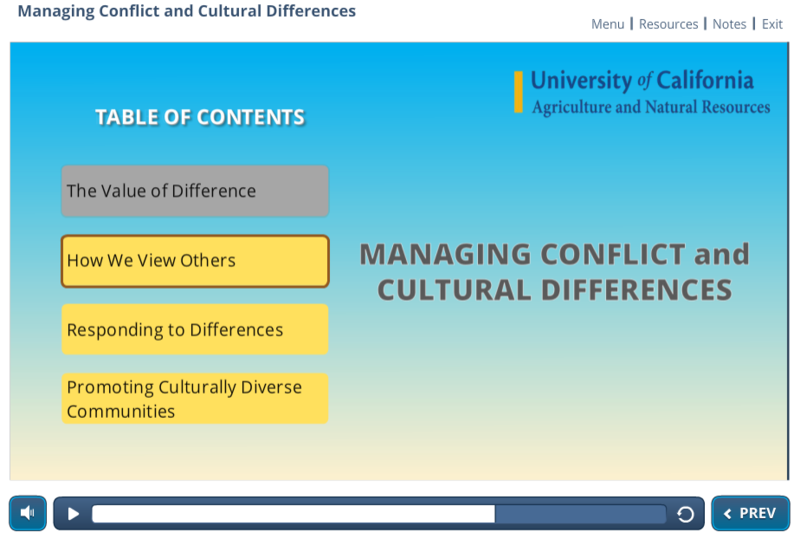 This course, commissioned by the University of California, Food Safety group, introduces co-management practices and strategies through the use of scenarios and decision making. 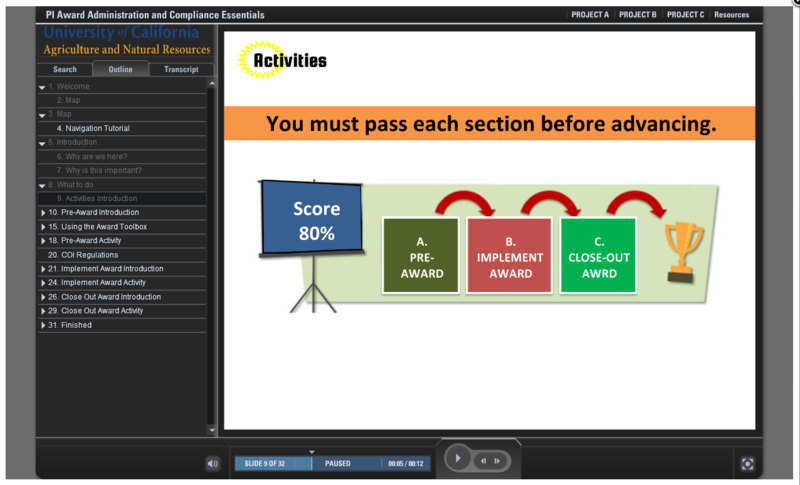 In 2015, this course was approved by the USDA for national distribution as an approved continuing education for all USDA Safety Auditors in the nation. 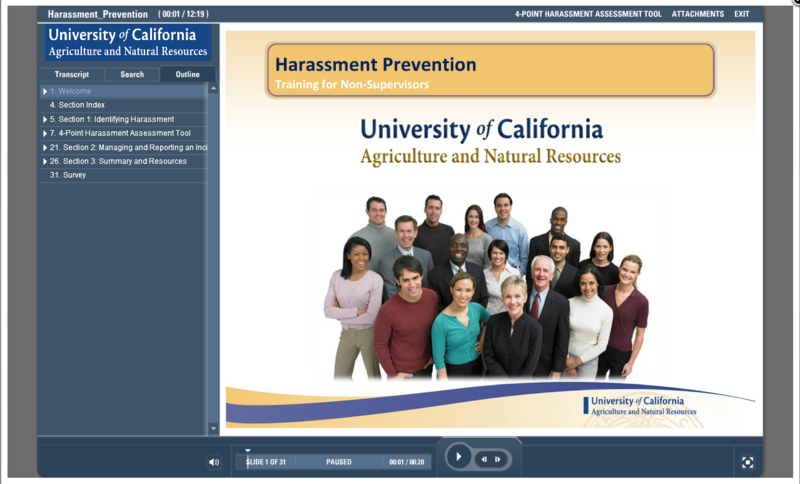 Harassment Prevention for Non Supervisors is a compliance course designed for non supervisors at the Division of Agriculture and Natural Resources of the University of California. 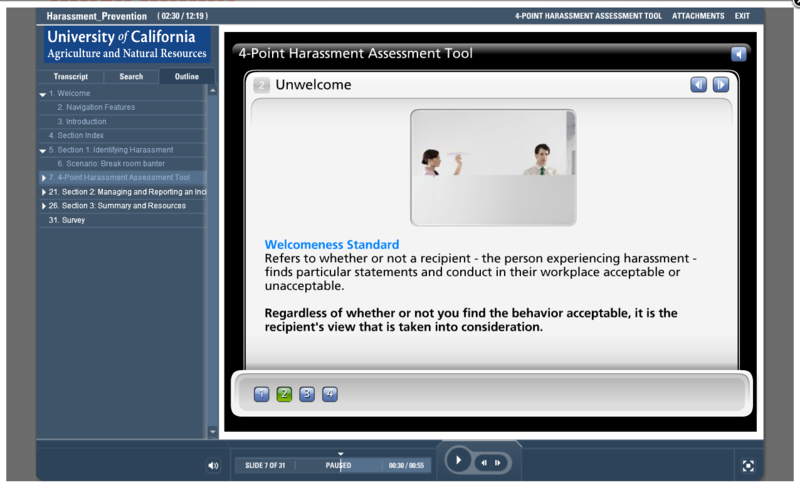 A gap was identified in the lack of harassment prevention information for employees. 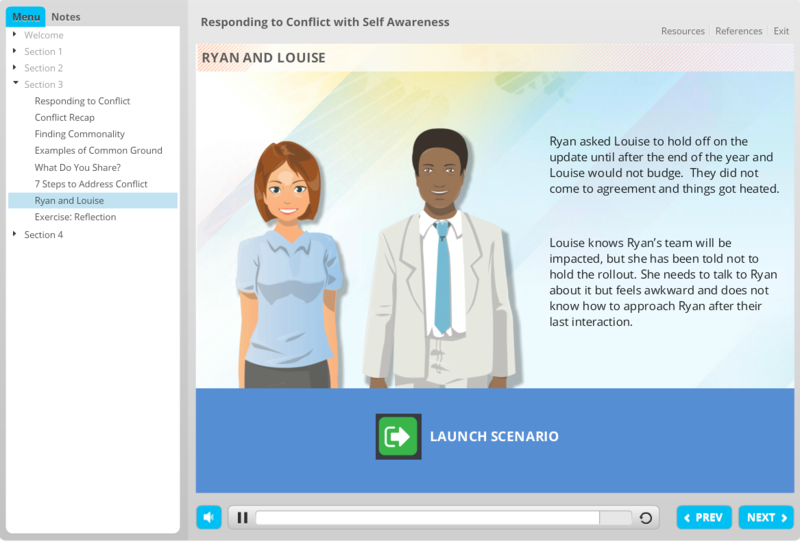 Rather than recite the policy designed to protect workers from harassment, I created realistic scenario driven examples. 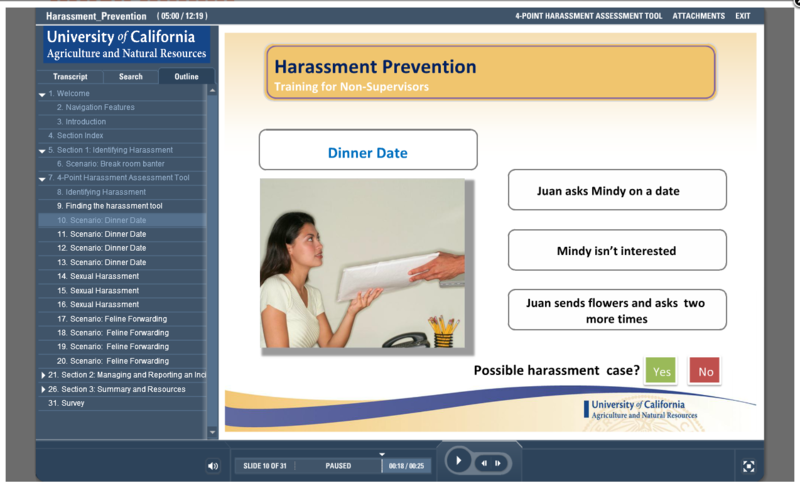 Examining a scenario, and using tools developed for the course, learners were asked to determine if there was a case for possible harassment.